Cape Town, one of the most scenic locations in South Africa, is also an economic lifeline with many a IT companies in Africa having their offices here. It also holds the distinction of being one of the most entrepreneur-friendly cities in South Africa. The opportunities are plenty for a person who has great skills. KnowledgeHut academy’s CSD training in Cape Town aims at developing professional skills so you would be in great demand. 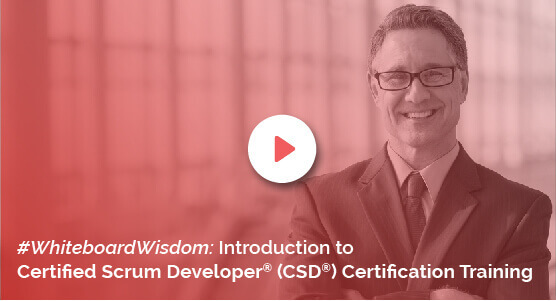 Earn a CSD certification in Cape Town and upgrade your technological skills. You could be an IT professional, an architect, a QA tester or an engineer, the CSD course in Cape Town is designed for you. The course comes with the flexibility of choosing a batch timing that suits your schedule. You can even go for a group or in-house training. The CSD certification is recognized across the world by leading companies. By having a Certified Scrum Developer certification in Cape Town, you will have better understanding and grasp of scrum and expertise in agile engineering. With the CSD certification in Cape Town, you would be able to integrate processes and manage projects. The Certified Scrum Developer training in Cape Town offers learners with the best in Industry information and coaching. The course comes with the best of its resources, expert trainers, updated course material, access to e-learning platform, memberships in exclusive groups and workshops with real-world scenarios. Right from applying the basics of scrum to collaborating on code ownership, the CSD training in Cape Town can be a ticket to success. Register on the website to access the demo sessions.